Sculptures Made with Old Tires Melt into Barcelona’s Streets #ArtTuesday « Adafruit Industries – Makers, hackers, artists, designers and engineers! 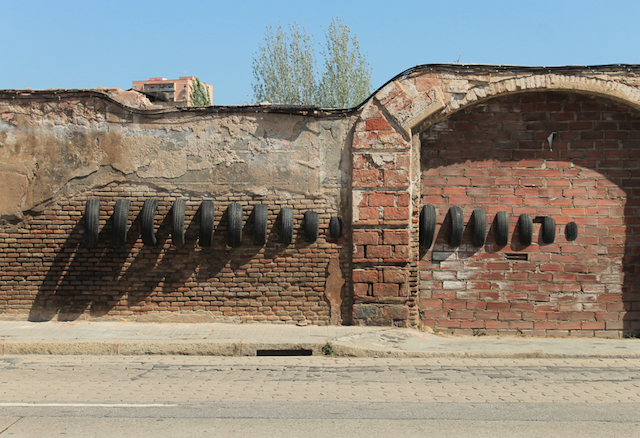 The Creators Project posted about Project Pneumatic, which is a new installation on the streets of Barcelona with far from tiresome visuals. 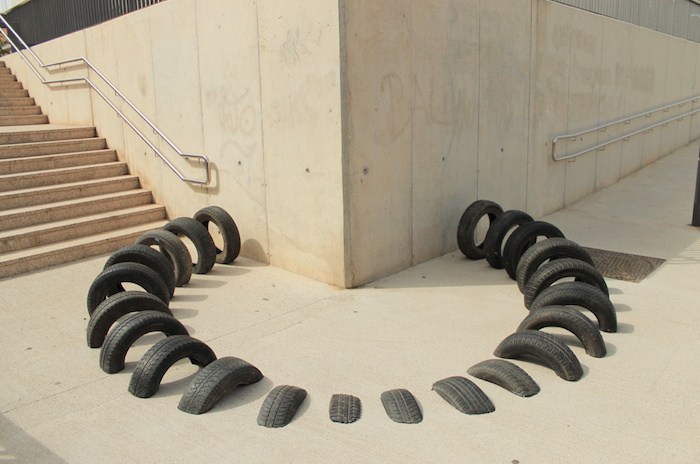 Salvaged rubber tires get a surreal second life in Project Pneumàtic, a sculptural urban intervention from street artists Octavi Serra, Iago Buceta, and Mateu Targa. The installations were created by chopping up 40 used tires with a circular saw, and attaching the pieces to walls and sidewalks in a sequence that creates the illusion of sinking into the brown rock.